So Sunday started, as most days do at the moment, at around 2am. All three kids had been in bed since 8:30pm Saturday evening and Elsie had already awoken for a feed at 11pm and thankfully went back to sleep quickly and without fuss. The second feed came at 2am. Matt was out on a stag do so I trundled down to the kitchen and made a bottle in a pretty robotic state. It’s like I’m on autopilot at night. Mind you, I do panic I’m going to come face to face with a burglar every time I open the kitchen door! Elsie had soon drained her bottle and I put her back down and flopped into bed. Not even an hour passed before I heard more crying. This time it wasn’t Elsie but Florence; she’d had an accident in her bed and needed a change of sheets. Yay! Time to strip the bed. Right back to bed for me-until 4am when Matt strolled in and decided to take over the whole bed and snore like a warthog. Finally back to sleep when Elsie woke at 5am for yet another feed. She’s supposedly going through a leap so I’ll let her off. Once again I put her back down and within half an hour I can hear Logan coming into my room complaining about having been bitten during he night. I put some Sudocrem on him and sent him back to his room. Now, it’s coming up 6am and I am awake. The sun is shining and Elsie is stirring. 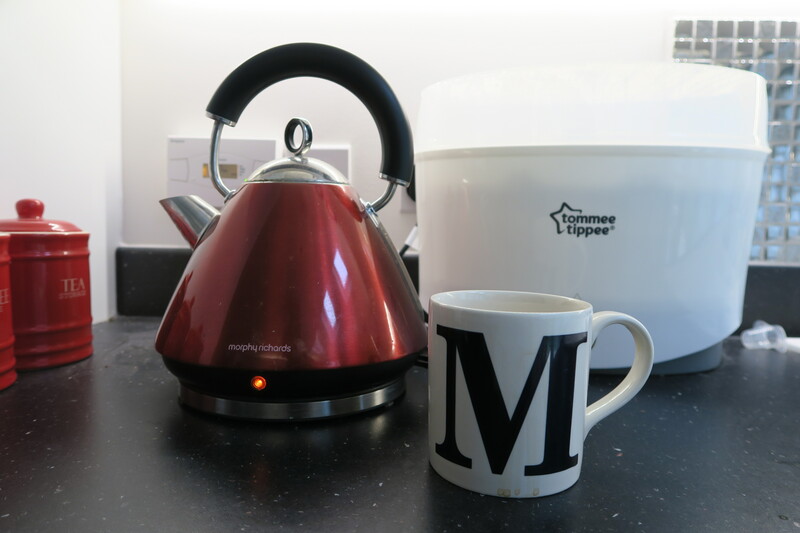 First stop on days like these, and any other day for that matter, has to be the kettle. I make a coffee and sit with Elsie. Logan has come down and watches Stampy Cat on You Tube in the lounge. It’s some weird Minecraft thing if you’re wondering. 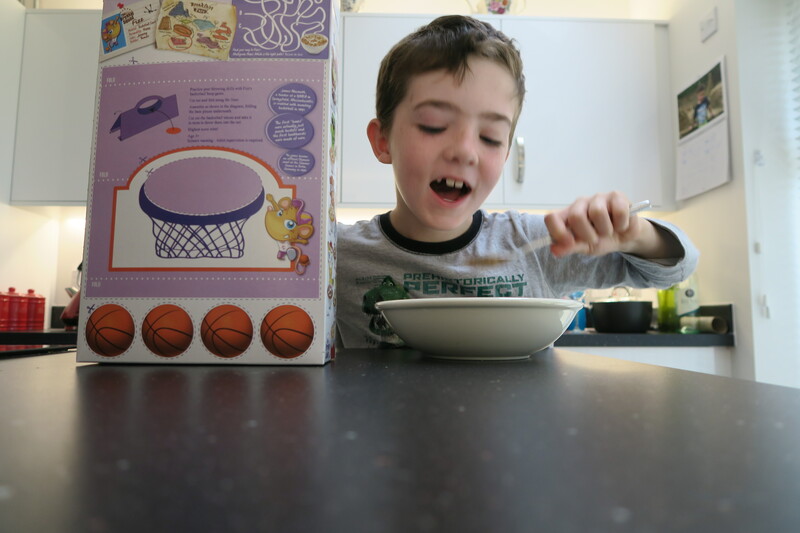 Soon after he comes in for breakast-he chose multigrain hoops, or Cheerios to you and I.
I’m catching up on the Olympics whilst drinking my coffee and then head to empty the dishwasher and tidy up the kitchen. In the meantime Florence comes down and has a couple of Weetabix. She then disappears off with Logan and I’m left in peace. I didn’t expect to see Matt for some time. 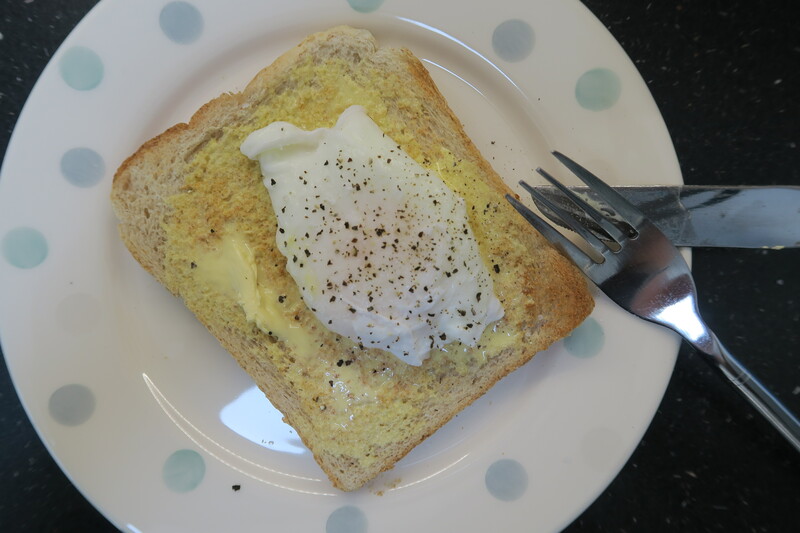 I finally get on with breakfast and make myself a poached egg on toast. Elsie’s sucking her hand by this time and ready for another bottle. 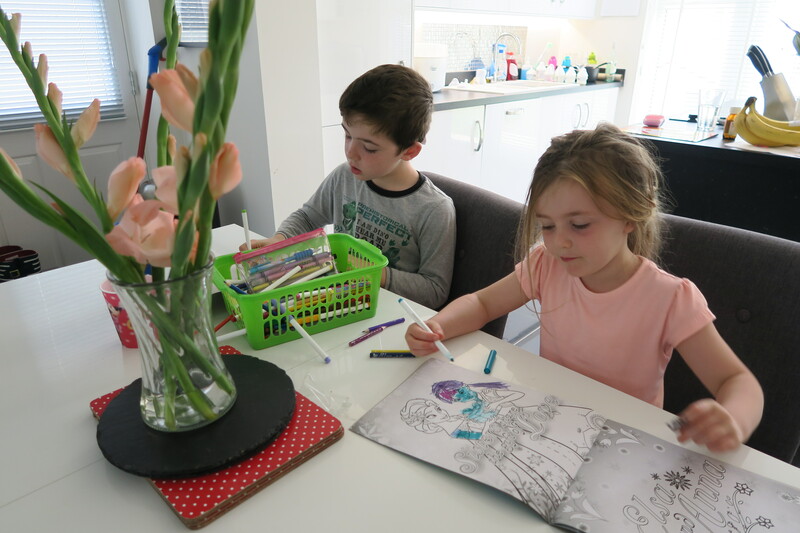 I need to get everyone ready for about 9:20am as we were heading off to collect something I’d bought on eBay but the kids had other plans and decided they wanted to colour. Because Logan spends the majority of time at his Dad’s these two seem to get on really well and I love to see them together. Matt showed his face around 8:10am and I made him tea and toast. Don’t think he was feeling the best! We all got out the house and headed to Stow on the Wold. It was a long journey as Elsie was pretty unsettled for most of the way there. 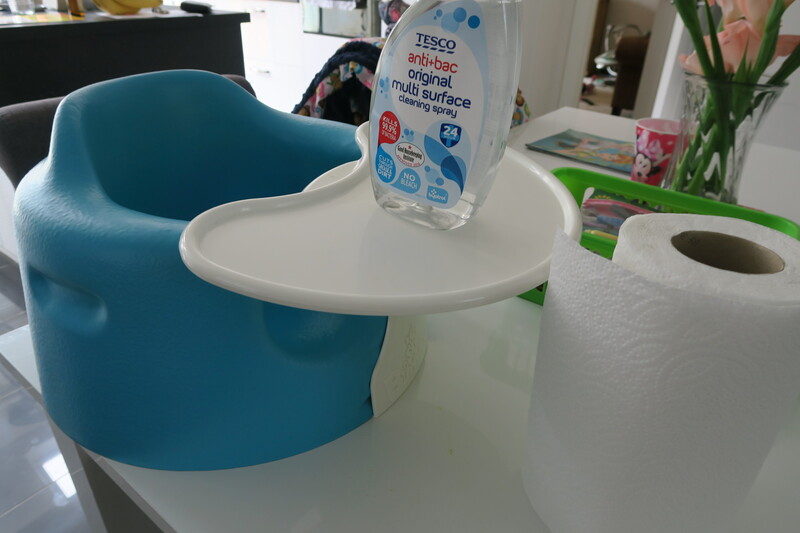 We eventually found the address and I picked up my purchase…..a Bumbo seat for Elsie. I paid the grand total of £6.5o and it’s in almost perfect condition. I don’t think I could have parted with the £35 RRP. 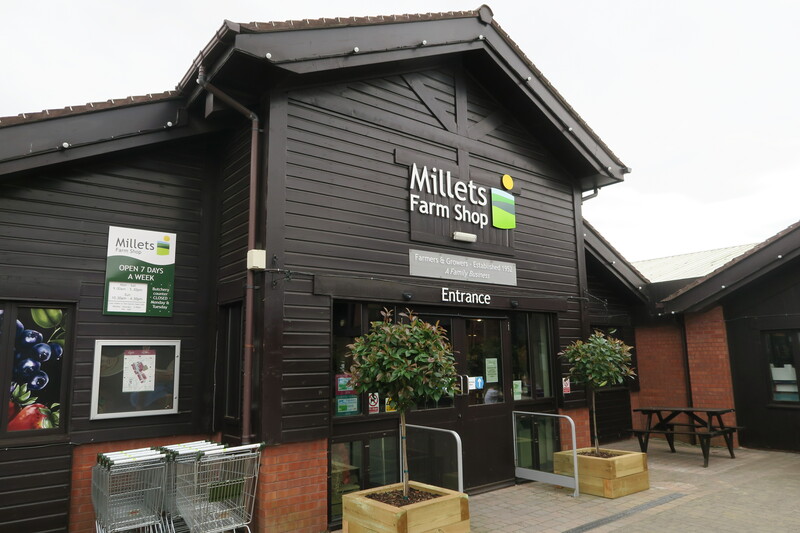 On the way home we stopped at the local farm shop for some sausages. Matt and I both fancied a sausage baguette for lunch so that’s what we had. After all, what are weekends for if not for indulging?! The diet can start again on Monday. Logan had a panini for lunch and Florence a sandwich. It’s not usual we all have something different but we had some rolls and bits to use up before they expired. After lunch we all felt as though we needed to get out, except Matt – he wanted to sleep but did actually come with us, so we went to the Country Park in Evesham. It’s really lovely their now; cafes, shops and a play area for the kids. We left armed with ice creams and the kids were shattered. It was time to take Logan back to his Dad’s. After cuddles and kisses it was time to make the 40 minute journey back home to Cheltenham. Minutes before we arrived home I could hear Elsie emptying her bowels and so she was thrown (not literally) straight into the bath when we got home. Florence requested beans on toast for dinner which Matt made for her. 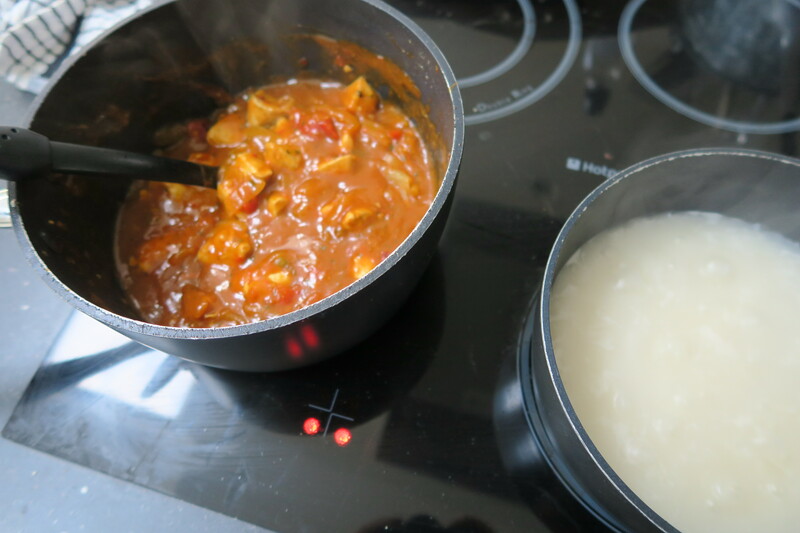 Later, once Florence was in bed, Matt and I had a curry, watched a bit of Dinner Date and went to bed. Shattered! Next weekend we’ll be in Cornwall so of course I’ll be blogging and vlogging that!